It’s back to school time and that means dorm-sized appliance sales! 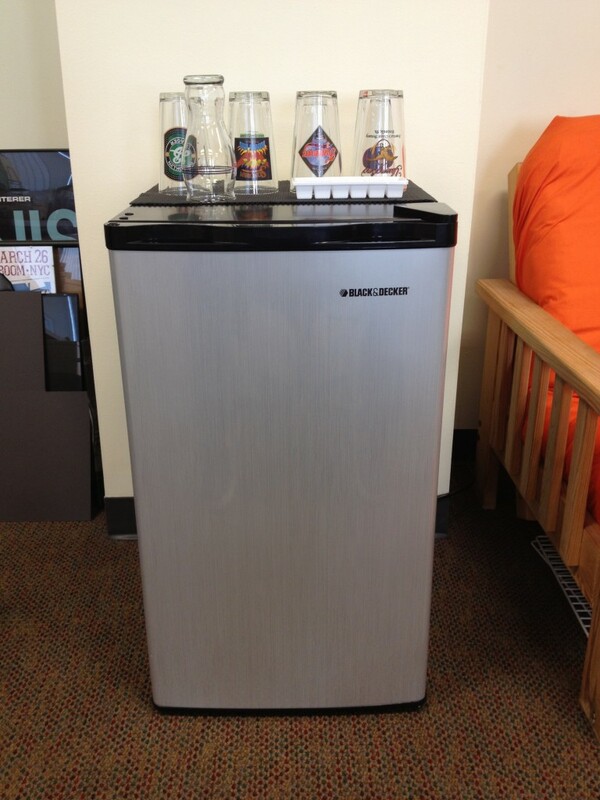 Behold: the Black & Decker Model BCF32V Refrigerator / Freezer, with almost 5 cubic feet of storage space, dueling beverage dispensers and a Delorean-esque finish! And while the disappearance of our old Chill-buster fridge is an on-going investigation (suspects include Phil “The Ice Pick” Barket and Phil “The Defroster” Barket) we’re pretty happy with this stainless steal.